O. Carter Snead, professor of law at the University of Notre Dame, has been appointed the W.P. and H.B. White Director of the University’s Center for Ethics and Culture (CEC) by John McGreevy, I.A. O’Shaughnessy Dean of the College of Arts and Letters. A member of the Notre Dame Law School faculty since 2005, Snead will succeed W. David Solomon, associate professor of philosophy, effective July 1. Established in 1999, the Center for Ethics and Culture investigates ethical issues and broader cultural concerns drawing on the intellectual resources of the Catholic tradition. It supports scholarly research in ethics as well as its dissemination in the classroom and beyond through lectures, conferences, film and literature series, awards, student formation programs and other initiatives. 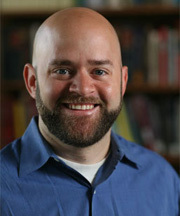 Snead specializes in the relationship between bioethics and the law. He is the former general counsel for the President’s Council on Bioethics, a White House advisory committee, and was the principal author of the council’s 2004 report on the regulation of new biotechnologies affecting assisted reproduction, human embryo research and genetics. He is a permanent observer for the U.S. government at the Council of Europe’s Steering Committee on Bioethics and serves on UNESCO’s International Bioethics Committee. His scholarly work has appeared in the New York University Law Review, Harvard Law Review Forum, and other venues. Solomon is an expert on ethical theory and medical ethics. He has held research fellowships at Oxford and Boston University, in addition to a visiting professorship at Baylor University, and has lectured at more than 100 colleges and universities in the United States and abroad. Solomon is the co-author of two books — “Abortion and Public Policy” and “The Synoptic Vision: The Philosophy of Wilfrid Sellars” — and he has contributed to the Encyclopedia of Ethics and the Encyclopedia of Bioethics, as well as numerous scholarly and popular journals. Originally published by Dennis Brown at newsinfo.nd.edu on October 25, 2011.